I’ve been working for a while on sourcing a small, curated selection of gorgeous yarns for the upcoming Saltwater Rose Studio Threads shop. 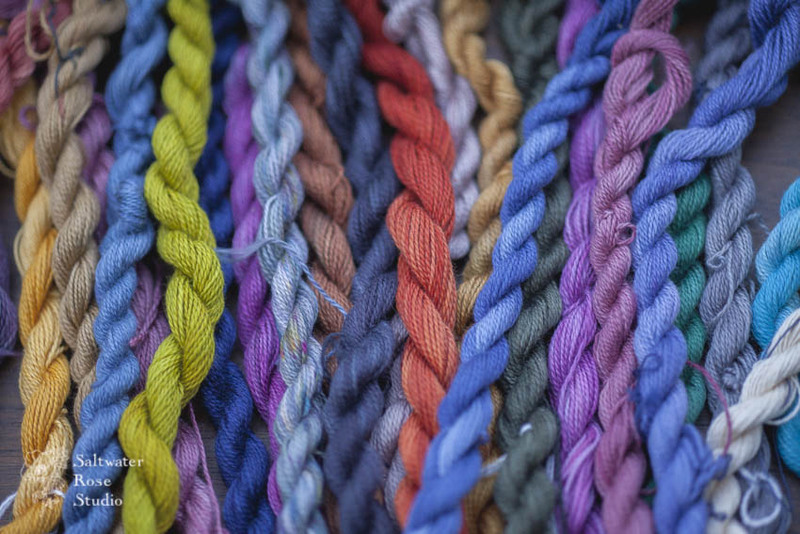 This has led me on the most wonderful journey, into textile and fibre science, to working with mills in multiple countries, to fascinating people, and to the chance to examine and source beautiful threads. The holy grail of my quest has been the elusive Sea Island cotton. 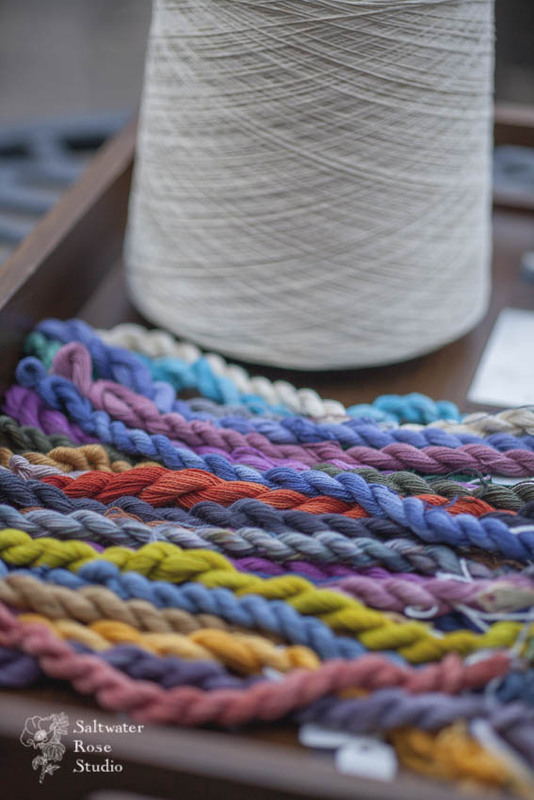 This has been virtually impossible for handweavers to source, partly because it is so rare – only 0.0004% of the world’s cotton supply – and partly because what is produced is only sold in commercial quantities to machine-driven weaving and knitting mills. After months hunting for the right partner, I started working with a wonderful mill that is totally dedicated to sourcing only the finest, rarest, most beautiful fibres in the world. 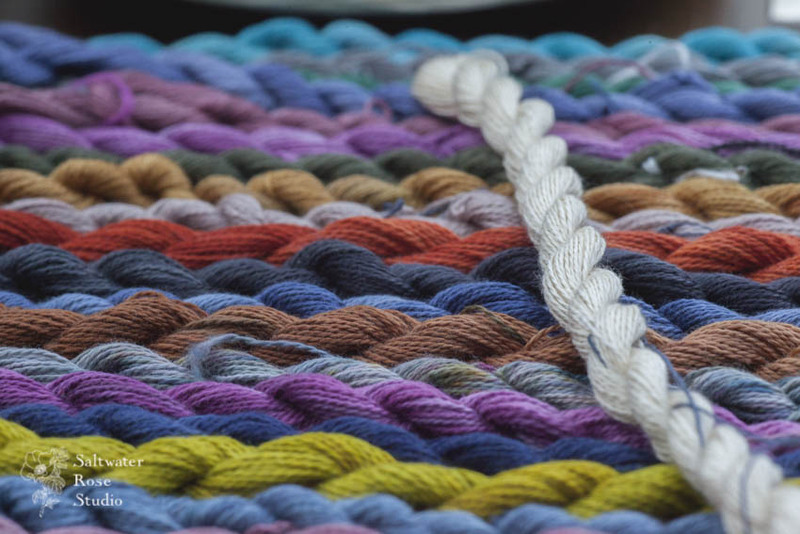 They have been a joy to work with and we’ve discussed how wonderful it is as a handweaver, who sees every little detail of the thread, to be able to use these delicious, lush yarns. They passionately support this artisan community! Sea Island cotton is a variety of the extra long staple species Gossypium barbadense – Barbados cotton. In the late 1700s the cotton was taken to the Sea Islands of South Carolina and Georgia in the USA and grown there until the mid 1800s, when the crop was destroyed beyond recovery by infestations and war. Of course, it had survived during this time in its natural home, the West Indies and the local people continued to cultivate it. Today, Sea Island cotton is produced in four West Indies islands – Barbados, Antigua, Nevis, and Jamaica. Cultivation and sales of authentic Sea Island cotton contributes significantly to the local economies, with ongoing plans to increase production an element in many regional economic plans. Cotton has a high environmental footprint – it requires a lot of water, often a lot of pest control, just to create a crop. However, Gossypium barbadense being cultivated in its homeland is favoured by the most perfect rainfall, humidity, and temperature conditions possible. 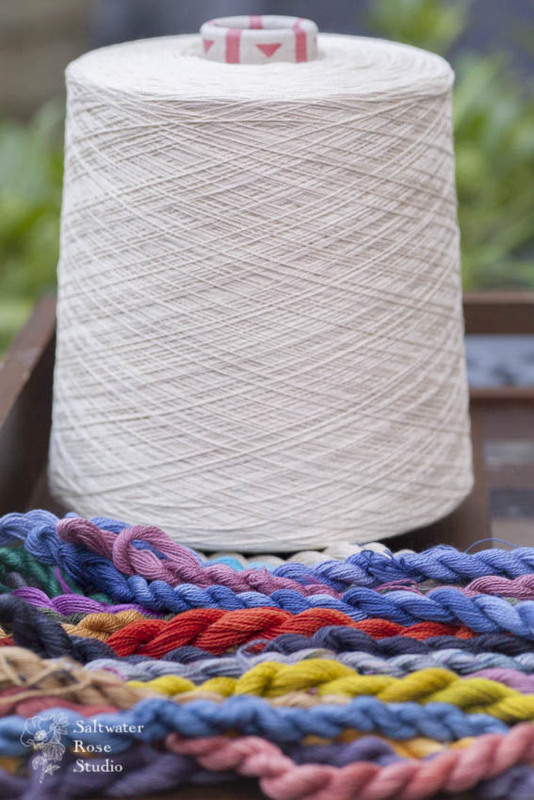 West Indies Sea Island cotton, being an extremely rare and protected crop, is harvested by hand in a very gentle traditional method, in order to not harm the long staples, preserve the beautiful sheen of the fibre, and to avoid introducing anything that would compromise the purity of fibre. Only 130 bales of Sea Island cotton are produced each year, making it the rarest of all the cotton produced in the world. This is overseen by the West Indian Sea Island Cotton Association (WISICA), who certifies every single bale and kilo produced in order to allow it to carry the protected trademark West Indian Sea Island Cotton and to be granted a certificate of authenticity. 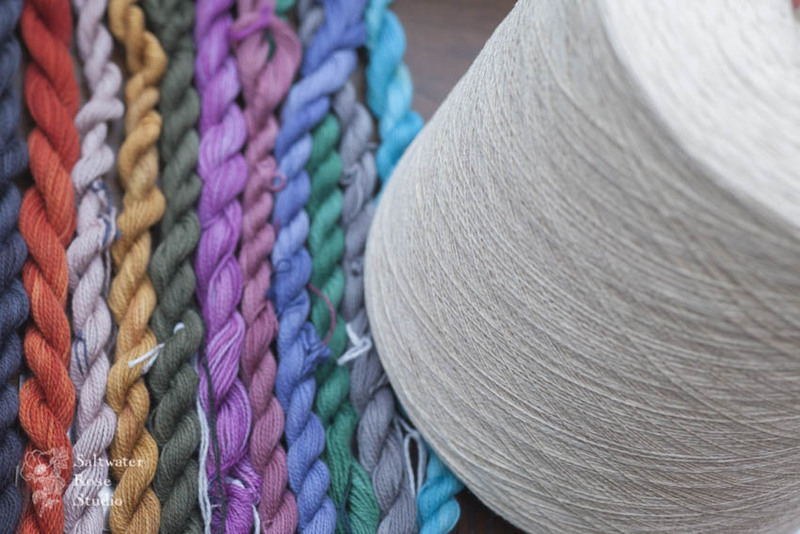 There are some cottons out there that call themselves “Sea Island cotton” but if they aren’t produced in the West Indies by WISICA, they haven’t gone through the rigorous quality control process and it isn’t certified authentic Sea Island cotton. What about the properties? The yarn has a lovely sheen and catches the light. It is incredibly soft, but strong as well and thanks to the extraordinarily long staple, Sea Island cotton is known to be extremely durable and with low pilling. 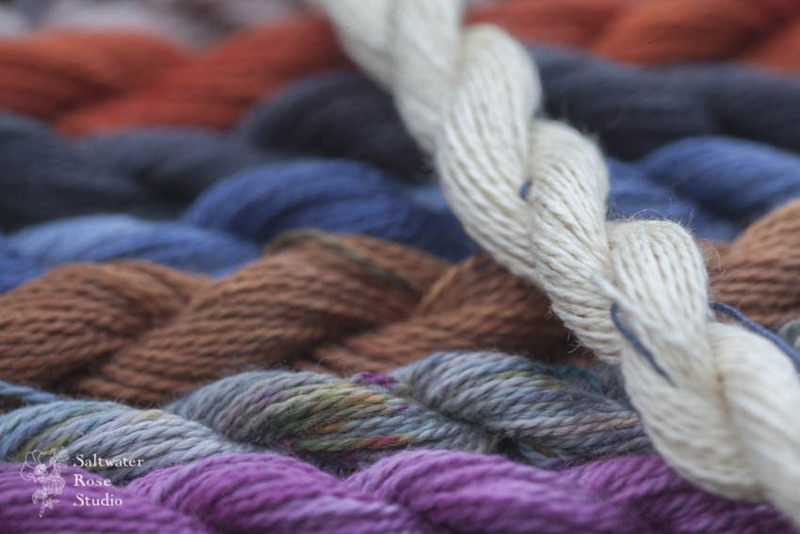 See the gallery above for my samples – I’ve found it to really take up dye and the natural cream colour of the yarn adds depth to the dyeing. This is truly the cashmere of cottons. 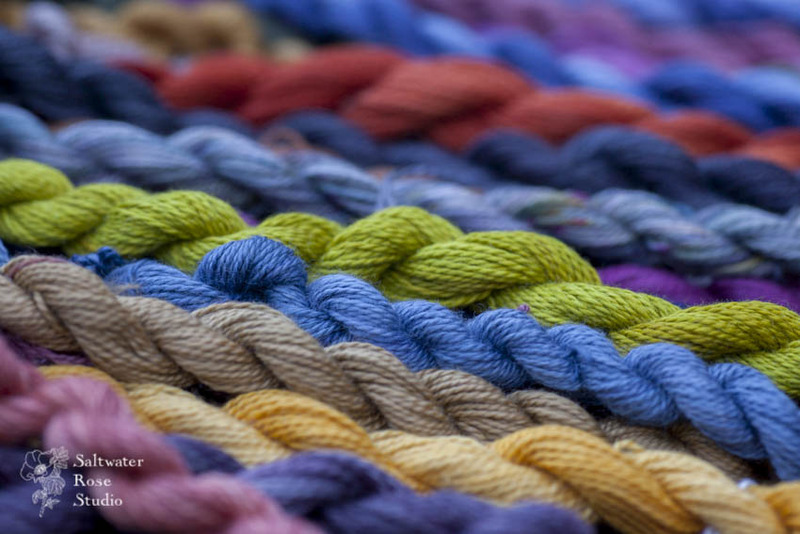 It is a joy to be able to work with this yarn, to dye it, weave with it, and to provide it to other artisans, as well as to support local economies that have worked together to create a valued and valuable protected product. It will be available in the shop soon, in two yarn counts – 16/2ne and 2x16/2ne (equivalent to 8/2ne in final yarn count).